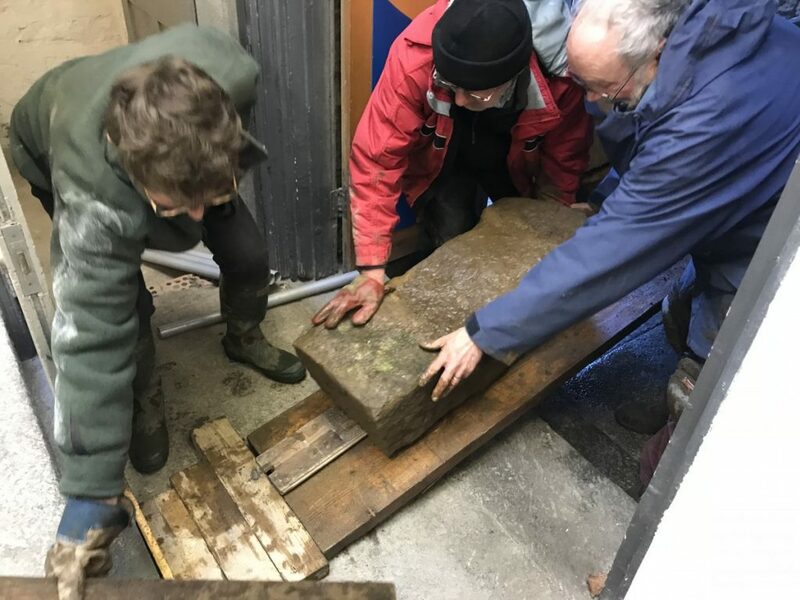 Amid torrential downpours, a monumental event took place on Thursday 15th December when the Cunaide Stone, a 5th Century Christian burial stone previously housed in a wall at Plantation (displayed there in the 19th Century by Henry Harvey), was removed and brought inside the Heritage Centre. 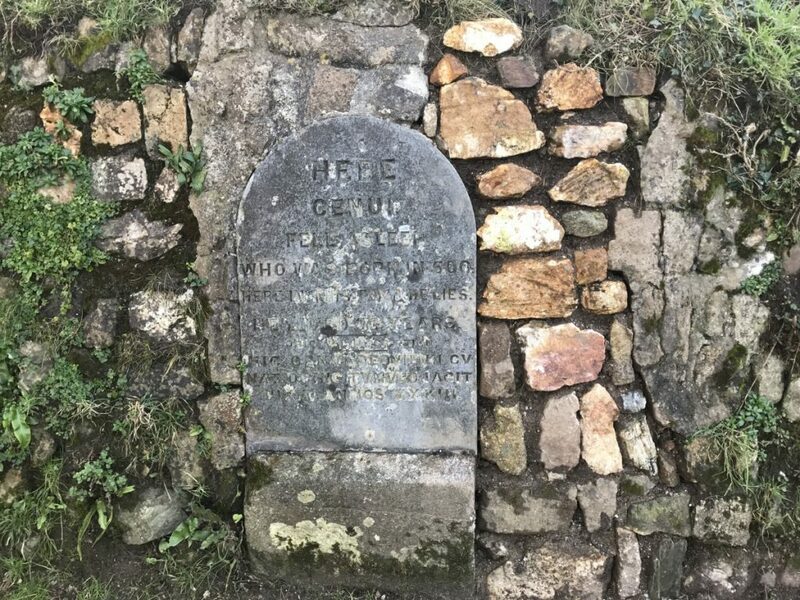 The Trust had applied for and was granted Scheduled Monument Consent in October, with aims to preserve and protect the stone which has long been listed ‘at risk’. 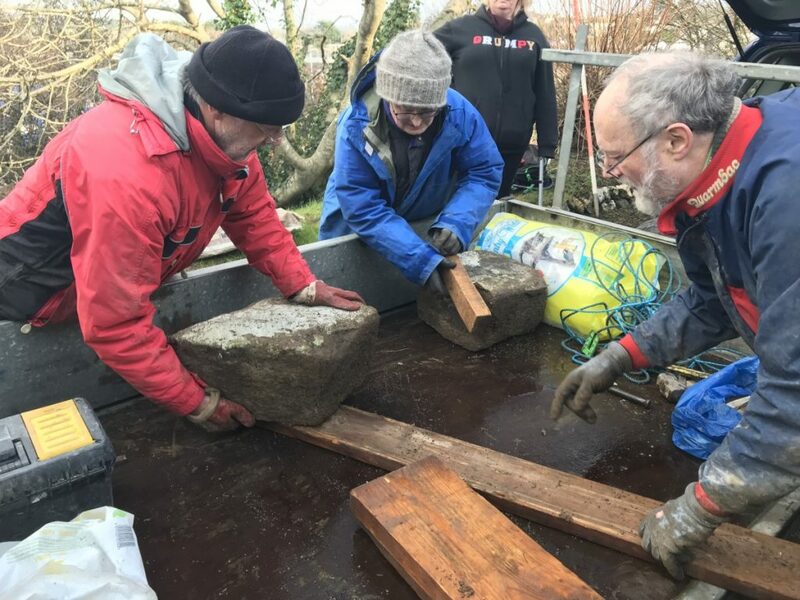 Transporting the second section of the Cunaide Stone onto the trailer. 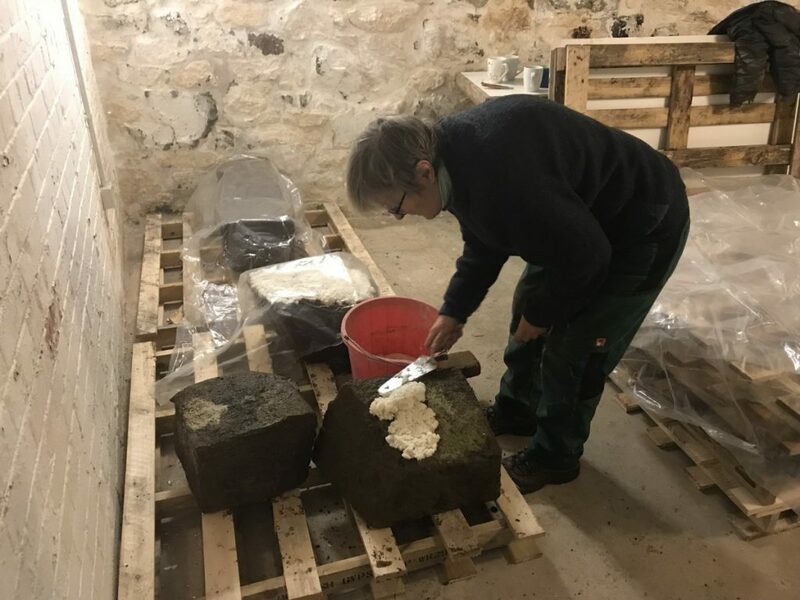 Specialist Stone Conservators Kelland Conservation, under the supervision of Historic England, spent the day delicately removing cement from around the stone, which revealed itself to be in four substantial pieces. Each section, with a depth far greater than anticipated, was gently removed and hoisted into a trailer. 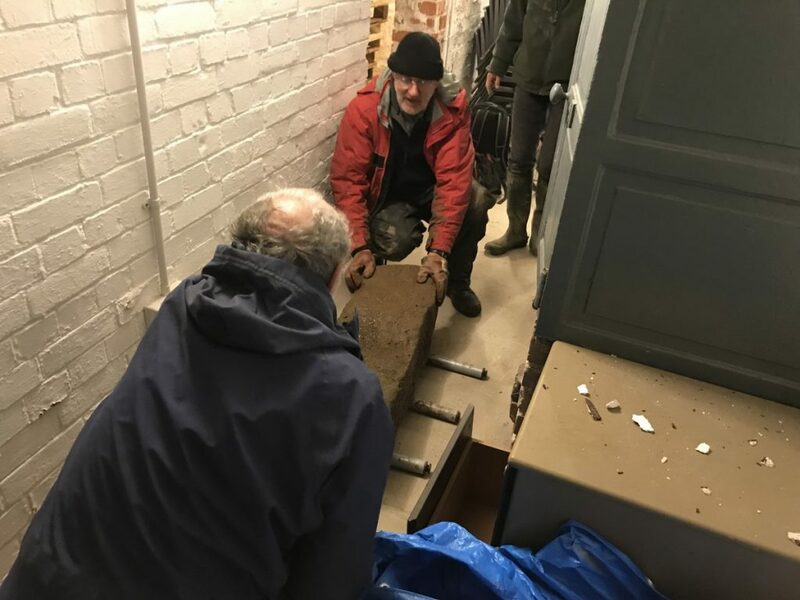 The bottom of the base section was buried almost two feet underground. 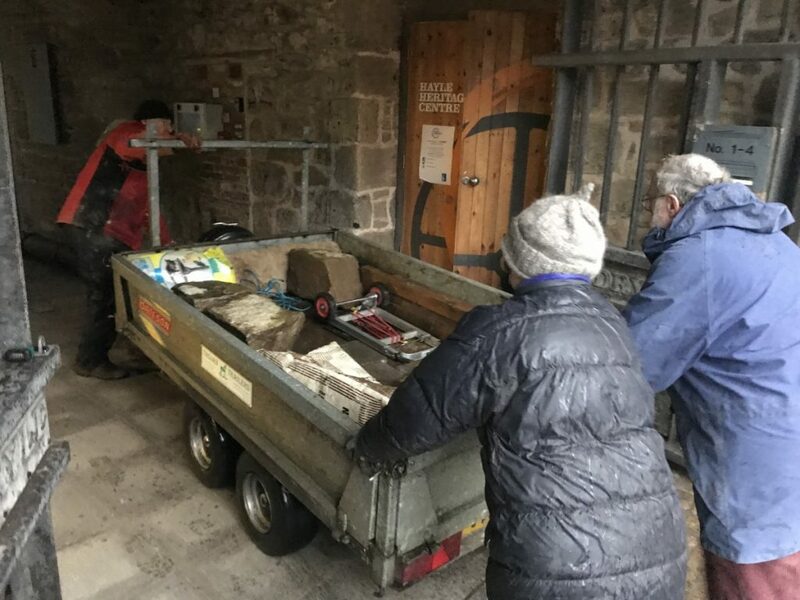 Back at the Heritage Centre, the heavy sections were lifted into a designated room with a stable environment in which the stone will rest until the spring. Paper pulp was applied to absorb any moisture. 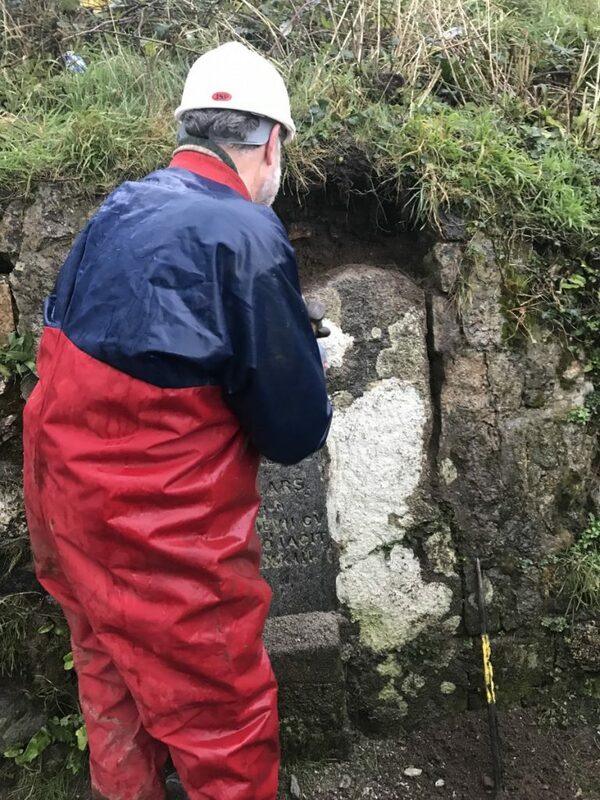 In March, Kelland Conservation will return to begin remedial conservation work; in doing so, it’s hoped that the text on the stone will become clearer. The Cunaide Stone arriving outside the Heritage Centre entrance. Applying paper pulp to absorb moisture. Once the conservation work is complete, a bespoke frame will be made in order to display the stone as part of an exciting new exhibition opening this summer. 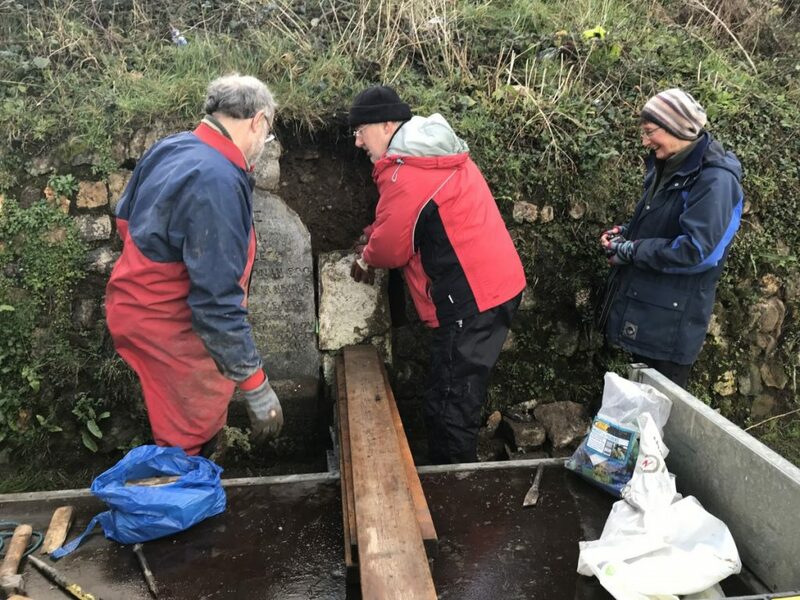 The exhibition will explore Hayle’s early history, displaying archaeological finds, uncovered locally, which illustrate that the town has a far longer industrial past than we might at first imagine. Watch this space for exclusive behind-the scenes project updates. The reinstated bank (the 19th Century translation slate will remain in-situ). A discreet marker/information plaque will be installed later in the year.